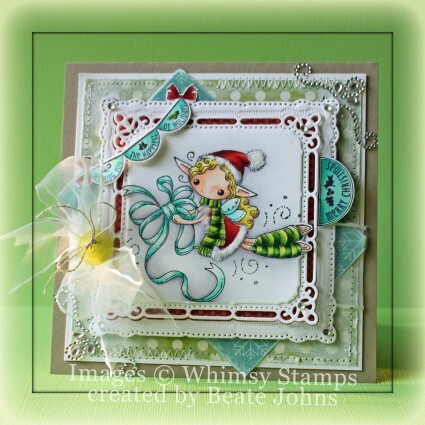 Welcome to the Whimsy Stamps September 2012 rubber stamp and die RELEASE (Holiday Collection Part 1)! Today, Whimsy Stamps is releasing 22 wonderful new rubber stamps & stamp sets, 5 fabulous new Shapeology dies, 2 gorgeous new Shape EZ templates and 2 stunning *BRAND NEW* 6×6 paper packs. These new goodies are available to buy right now from the Whimsy Stamps store along with all your Whimsy favorites. From today until 25 September the Whimsy DT and Special Guests will be showcasing these new products with a daily mini blog hop. Each mini blog hop has a new release prize hidden somewhere along the way and you have 24hrs to enter each prize draw by leaving a comment on every blog listed for that day. At the end of release week (Wednesday 26 September) we will post a Release Round-Up on the Whimsy blog. This will include a selection of DT work from the new release week together with a complete list of winners from the daily mini blog hops. For my sample today, I had to use the darling Gift Bow Christmas Fairy from Meljen’s Design. I LOVE her fairies. I stamped the image in Tuxedo Black Memento Ink once on Neenah Solar White cardstock and was colored with Copic Marker (hat/jacket: R22, R24, R29, R39 Scarf: light green YG21, YG25, YG17, dark green YG23, YG17, G28 Skin: E000, E00, E01, E02, BV00 Hair: Y11, Y13, E31 Bow: BG10, BG11, BG13 Background: C00, C1, BV00). The image was cut and embossed with the out of the box technique and the second largest Marvelous Square Nestabilities die. A piece My Mind’s Eye Winter Wonderland paper was cut and embossed with the largest of the Marvelous Square dies. A piece of Solar White cardstock was cut and embossed with the largest and second largest of the Marvelous Squares dies to create a frame. That frame was adhered over the red layer with liquid adhesive. The image layer was adhered in the center with foam adhesive squares. A 4 9/16″ square of Winter Wonderland paper was sanded, and stitched to a slightly bigger piece of white cardstock. I added snowtex to the edges of the square to soften the green. The edges of another paper strip were sanded and adhered to the squares before the image layers were adhered with more dimensional foam adhesive. May Arts sheer ribbon was tied around the layers and topped with a button. Everything was adhered to the card base, Kraft cardstock measuring 5 1/4″ x 10 1/2″ folded in half. The sentiment banner from Raindrop Echo Designs new Holiday Circle Pennants and another sentiment from the same set were stamped in Tuxedo Black Memento Ink on Solar White cardstock and colored with Copic Markers. The banner and Circle pennant were cut out and adhered to the card. Rhinestones from a Sleek Strips Silver Rhinestones pack were adhered to the edges of the Marvelous Squares and parts of Fancy That! Border Bling were added tot he top right and lower left corner. Sugar Sparkly Fluff was added to the rim of the jacket and hat. Such a pretty card Beate. I love how you layered the image, and your coloring is amazing!! Lovely, lovely card! You have colored up this oh-so-cute stamp beautifully! wow your card is so cute, I love the colors!! Absolutely eye-catching design, Beate! Marvelous work! Oh my, this is super cute and i love your coloring. Your card is so cute. Luv it! This is gorgeous, I love the image and pretty colours. How wonderful card. Love all this dimension and your coloring is so pretty. Super cute card! Love your colouring of that delightful image, and such a great way of using that new die for a frame. Yet another cute stamp, I just love fairies and what a gorgeous card. This is amazing!! The dies are phenomenal and your colouring and contrast, woowie!!!!!! Absolutely gorgeous card! Colored so beautifully! The image is just darling! Love all the elements! Wonderful creation! 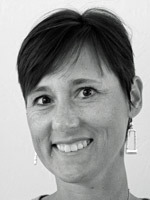 That is so darn CUTE – love this Beate! Such a sweet sweet card with beautiful layers! Gorgeus coloring and a beautiful card. I especially love the layers and bling. Beate: Your card is beautiful. I love how you layer and add all the embellishments. Your coloring is always so perfect. ALL your cards are an inspiration. Thanks for sharing your awesome talent, and especially thanks for all the great videos that you do. i LOVE the colours on this card, the beautiful bow and the little banner is just adorable! I just love the beautiful card you created. I love how you layered the image, and the color choses are great. thanks for sharing. Wow, this is amazing! Beautifully coloured and well dimensioned. I really love the square die in the centre! Wow, this is amazing! Beautifully coloured and well dimensioned. I really love the square die in the centre. I just learnt the out of the box technique, and it is so addictive to use. Very cute –I like your coloring and the layers. Absolutely beautiful card. That wonderful coloring on the white background is stunning as are the Spellbinder cuts. Fantastic card. Love the layout and all the details you put into this card. Love that sweet Christmas Fairy! Your card is adorable… so many details to make it very special! What a fabulous card! The stamp is too cute! Oh my gosh! This is ADORABLE Beate! Love her and love all the elements on your beautiful card!!! SWEET! As always, you have created a wonderfully beautiful card!!! Simply gorgeous hon. Love all the layers and coloring. Love all the layers and your colouring. The banner looks great. Gorgeous card, Beate! I love all the diecuts and the adorable image! Wonderful coloring and design details! Love your style. And the new Whimpsy Stamps are just so adorable. Can’t to see them all. Thanks for sharing. Beautiful card Beate and your coloring of that super cute fairy is fabulous! I love the Spellies you’ve used to create that frame around the image. makes it really pop! What a really beautiful card, love the new image and all your embellies look lovely. Wonderful cheery card, with a little whimsey!!!! how cute! Love your card! Very sweet designs, specially the image looks very cute, i love your cards. This is so beautiful!! I love all the layers and embellishments!! The image is so sweet!! As always, your coloring is so amazing, she looks like she is flying off the page! !